Level 4 Esthetician, Wax whisperer, Rule-follower, Skin care & product knowledge fanatic: Glo minerals certified, Satin Smooth certified, Eminence certified…. She loves her clientele and meeting new guests and strives to make each person feel comfortable and at home. Heather says clients are the best part of her career. She loves her clientele and meeting new guests and strives to make each person feel comfortable and at home. She possesses a wildly expert knowledge of skin care products and can meet any guest’s beauty needs. She is open and approachable, which she says is the best personality trait she can offer. Her guests trust her. She keeps an open mind and always appreciates feedback. As a mom, Heather is smitten with her son Grayson, and can’t get enough of watching him grow up and change. She looks forward to opportunities to pack up her car and take a road trip to visit her best friend, who also has a son. They often day trip to Chicago or explore Indianapolis. One day, Heather wants to go off the grid somewhere in Italy. 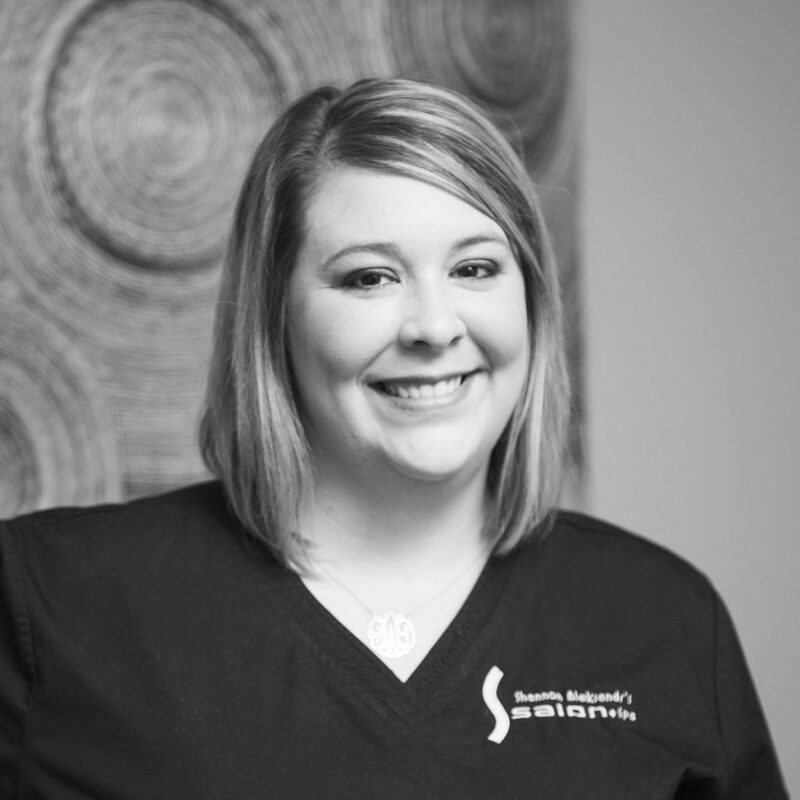 In case you’re wondering, her go-to pampering experience at SAS is a hydrafacial: she raves about the results, and hey, her kiddo isn’t the only thing keeping her young at heart. Want to join Heather at Shannon Aleksandr?